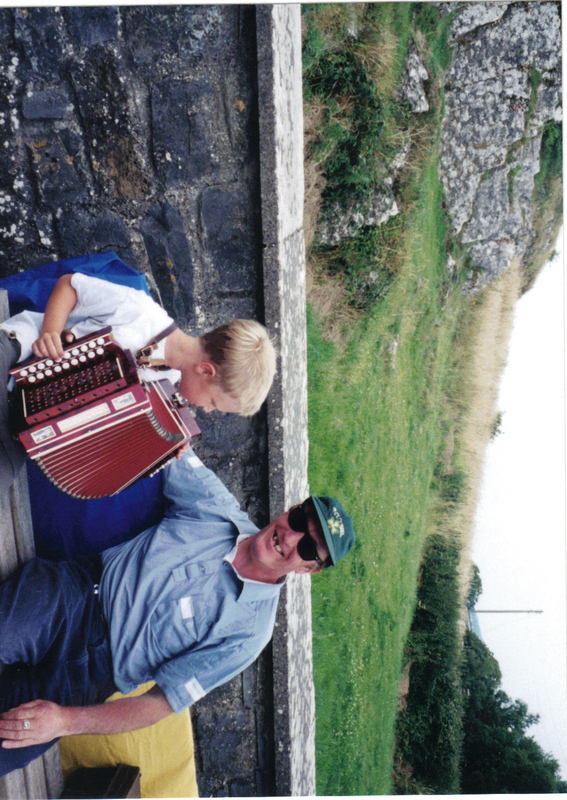 Irish music is an oral tradition, passed on through the generations, learned by listening and doing. Here is a dear man who sat outside of the Rock of Cashel in County Cork, playing his accordian joyfully for the passersby. Joshua was fascinated, and this generous soul invited him to sit down and play awhile with him. It didn’t matter that Joshua had never played an accordian in his life; this man’s open and sharing spirit encouraged Joshua to feel as if he could. As my little guy pushed keys and squeezed away, the man nodded in time and tapped his foot. What a wonderful thing, and what a wonderful memory. This entry was posted in Family, Life, Love, Music, Photography, Travel, Uncategorized and tagged accordian, celtic music, Children, Ireland, Irish music, learning, Music, oral tradition, teaching by lyonsroarforgod. Bookmark the permalink. I love your blog so much!! What a BEAUTIFUL life you live!! Cherish every day!